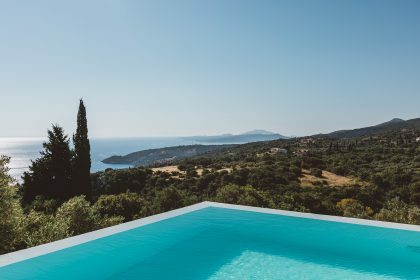 This is the most southerly of the Ionian Islands with a varied landscape: the west is characterised by striking mountains and largely uninhabited while the east is more fertile, with picturesque bays and long sandy beaches. 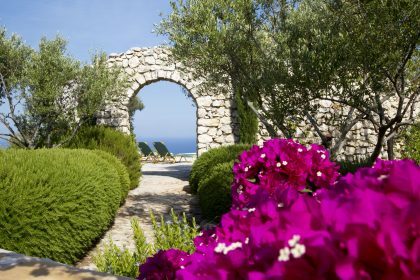 Zakynthos is a beautiful island, with many varieties of flowers that seem to blossom all year round. The island captured the hearts of the Venetians who ruled here for many years and who nicknamed it 'Flower of the East'. Eating out in Greece is a national pastime and a leisurely pleasure. Whether dining at a local taverna or an elegant restaurant, Greeks take their time over food. The native cuisine is delightfully uncomplicated and quite different from what’s found in Greek restaurants abroad. Much of the cooking relies on simple seasonings and fresh meat and vegetables. It’s common for Greeks to make a lunch of mezedes, or hors d’oeuvres. Typical dishes include fried meatballs, squash balls, octopus, shrimp, squid, cheese, olives, stuffed vine leaves, tzatziki (garlicky yogurt and cucumbers), eggplant dip, small sausages and giant beans. You can go on excursions to visit the beaches where the turtles Caretta Caretta lay their eggs at night. If you are lucky, you might also catch a glimpse of the Monk Seal Monachus Monachus. By boat from Agios Nikolaos, you can visit the famous blue caves in the north of the island. The blue caves are among the most famous sights of the island with an amazing beautiful color of the water, the largest of the caves is the cyanon cave. Another popular sight is the shipwreck (Navagio) on the beach of Smuggler’s Bay. You should also visit the white cliffs at Keri reminiscent of the white cliffs of Dover, England. Many of the beaches offer water sports. Porto Zorro is an excellent place for snorkelling and diving from the rocks in the edge of the beach, in Porto Zorro you will find a well organized beach with umbrellas as well as many bars and cafes. There are also daytrips to Cephalonia, and some travel agencies offer trips to Ancient Olympia on the mainland. You are sure to keep you entertained until the early hours. Large and small nightclubs, Beach Bars, Cafes & restaurants are met in all the island and operate mainly from May till October. The municipal open cinema presents new popular films ( in English with Greek subtitles ), while many theatrical representations, dancing festivals and concerts take place every summer. The Byzantine Museum of Zakynthos is situated in Solomou Square, in Zakynthos town. Here you can admire a rich collection of hagiographies from the Byzantine times to the 19th century. Zante is perfect for families so many people travel with children of all ages. There is so much for teenagers to do, it is the ideal island for getting out during the day on the water. People who love water are most suited to the island.